Have a big mailing to get out the door? We can help. Our shipping and fulfillment department offers a full suite of professional mailing services, including mail preparation as per the U.S. Postal Service specifications, metering, shipping, and bulk mail handling. Need variable data mailings? No problem. 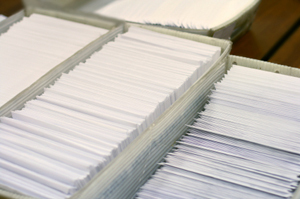 We can handle your personalized collateral, customer invoices and any other variable data mailing needs as well.